Tailings are the slag that discharged after the completion of ore dressing, which is usually discharged in the form of mud, forming a tailings reservoir over time. 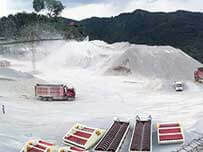 The concept of tailings dewatering and dry discharge refers to the dewatering treatment of mud-loke tailings to form tailings dry piles, and then the crushing treatment of tailings to make building materials, or used for field building and dam building for rational secondary use. The tailings discharge of traditional concentrating plants generally adopts the direct discharge method(solid-liquid mixed drainage). The tailings slurry with water content of 80-85% is discharged into tailings pond higher than the concentration plant to facilitate water permeation separation and backflow. So the water is reused, and solid tailings are left in tailings pond to accumulate. However, the traditional tailings accumulation method caused by the tailings discharge method will damage the environment and pose a security threat. 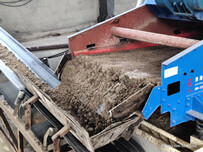 The tailings dewatering and drying technology can dehydrate the mud-like tailings residue to form dry tailings, which can be used for filling pits, building fields, building dams and manufacturing building materials. The tailings dry platoon also effectively realizes the secondary utilization of water, saving water resources, and the chemicals in ore liquid can be returned to the plant for reusing, reducing the cost of the ore dressing agent. 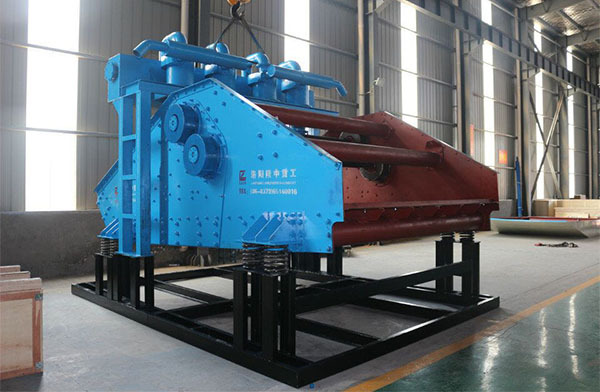 The new tailings dewatering process produced by LZZG is consist of concentrated dewatering type hydrocyclone + deep cone thickener + multi-frequency dewatering screen. It has the characteristics of low investment, low operating cost, high efficiency and energy saving, and suitable granularity of the slurry. 1. 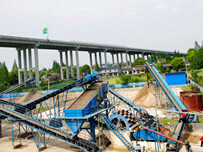 After processing, the solid content is more than 85%, some coarse sand tailings can reach more than 90%. 2. Solving the problems of environmental pollution, safety hazards and occupation of large amounts of land caused by tailings discharged from traditional tailings. 3. Cost savings. 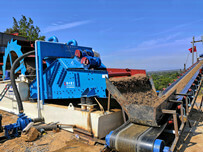 The discharged water can be fully recycled and reused to improve the recycling of tailings resources. 4. 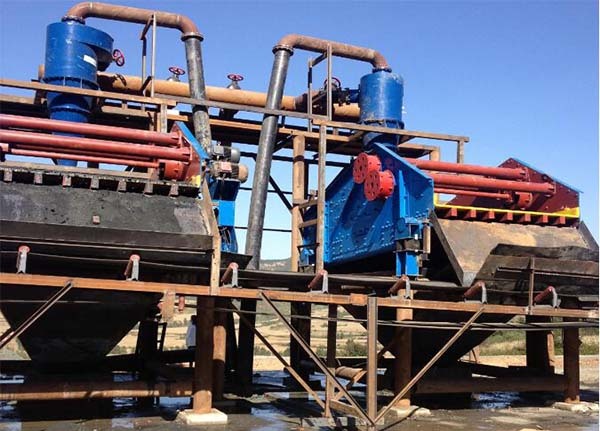 The equipment and technology used in tailings dry discharge are innovative, opening up new avenues for tailings stacking and integrated treatment of goafs. 5. Low investment and high efficiency. After adopting the tailings dry discharge process, it saves fixed assets investment, saves safety management funds, ecological environment management funds, energy conservation and emission reduction and tailings maintenance costs.